Pokémon games are normally quite tame affairs. The worst that happens is some weird animal gets knocked out for an hour or two. But in Pokémon Black, there is death, nothing but death, and it is all around you. 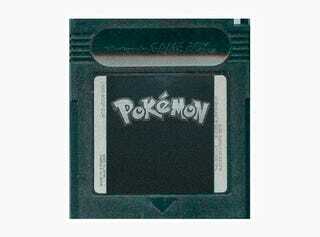 Pokémon Black is apparently a hacked, unofficial version of Pokémon Red, which Tiny Cartridge's Eric Caoili describes as "super creepy". He's being generous. After selecting your starter, if you looked at your Pokémon, you had in addition to Bulbasaur, Charmander, or Squirtle another Pokémon - "GHOST". The Pokémon was level 1. It had the sprite of the Ghosts that are encountered in Lavender Tower before obtaining the Sliph Scope. It had one attack - "Curse". I know that there is a real move named curse, but the attack did not exist in Generation 1, so it appears it was hacked in. Defending Pokémon were unable to attack Ghost - it would only say they were too scared to move. When the move "Curse" was used in battle, the screen would cut to black. The cry of the defending Pokémon would be heard, but it was distorted, played at a much lower pitch than normal. The battle screen would then reappear, and the defending Pokémon would be gone. If used in a battle against a trainer, when the Pokéballs representing their Pokemon would appear in the corner, they would have one fewer Pokéball. Wow. Things get even more morbid later on, as after reaching a certain point in the game you live through a Lavender Town holocaust. It's like something out of the intro to 28 Days Later, as you wander a game world in which the only other presence are the tombstones of the world's former residents, while the game's music drones on at half its regular speed. Now, this could be real - the product of some over-imaginative Chinese pirates, perhaps - or, as seems more likely ("Unfortunately, when I moved two years ago, I lost the game, so I can't provide you with screencaps. Sorry"), it could be a complete and utter fabrication. If it is? I don't really care. It's a great story regardless. UPDATE - Seems to have crawled out of 4chan. Still, like I said, great story!